After 3 years extensive research & development our low cost inverter has been approved by Intertek (The World's largest test laboratory). Our inverter's G83 approval means that it is both fully compliant for UK mains power supply and suitable for all Feed-In-Tariff schemes. Inverters that do not carry a G83 approval may not be suitable for UK use and may be potentially dangerous. Our inverters plug straight into a UK mains power socket there is no need for complicated installations connecting to the domestic electricity meter, so they can be installed almost anywhere you have a plug socket and space for a solar panel. 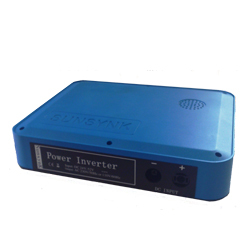 For more details on the SUNSYNK G83 Grid Tie Inverter and it's benefits, please view our full data sheet linked below. Introducing our ultra thin 3mm solar panels. 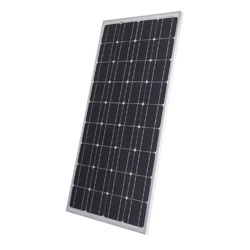 The panels come in three basic sizes, 200 Watt (Entry Level), 400 Watt and 600 Watt. However, we can make any size panel depending on customers' requirements. We can even make irregular shapes to match bespoke installations. Conventional solar panels are quite heavy and if a large number of panels are to be installed on an existing roof, then the roof structure's load bearing capability may need to be checked. Our new flexible 3mm solar panels however are very light and can even be fitted almost anywhere! Our panels are very efficient and will last more than 10 years without maintenance. Our solar panels are matched precisely to our G83 inverters to ensure maximum efficiency. is covered by a 5 Year Manufacturers warranty. are covered by a 10 Year Manufacturers warranty.